Angelica Hale has been wowing global audiences since she appeared on America’s Got Talent (AGT) in 2017 — but this year, she took it a step further when she made history as the first ever contestant to win two Golden Buzzers on the show. 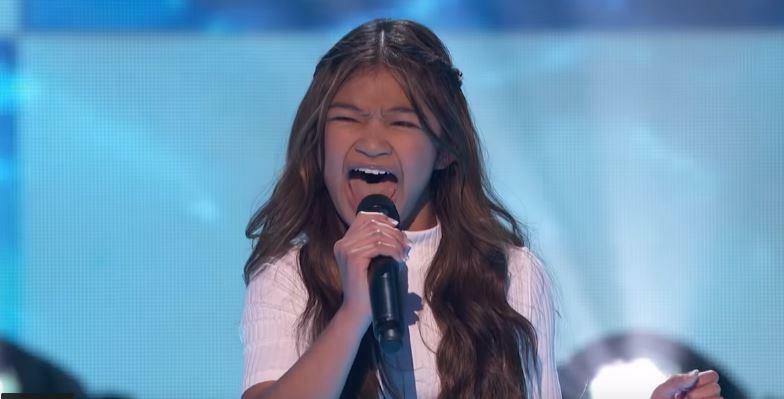 The Filipino-American earned the distinction after she impressed AGT judge Howie Mandel with her performance of Rachel Platten’s Fight Song this week, on the Jan 21 airing of the show. Hale is a contestant competing in AGT’s “The Champion” edition, where former finalists and other successful participants from different AGT franchises compete. According to USA Today, getting a Golden Buzzer means that the performer can skip through the other rounds of the competition and is sent straight to the live shows. The Canadian actor then reached for the Golden Buzzer and pressed it, leading the audience to stand up in gleeful applause, and Hale to burst into tears. Then, slo-mo effects took over the screen as Mendel went up on stage to give the tearful Hale a hug. Gold confetti rained on both of them. It was a moment. The Hollywood-like scene is a big comeback for Hale, who lost the AGT championship to ventriloquist Darci Lynne Farmer almost three years ago. The 11-year-old singer, who had a kidney transplant as a very young girl, also shared that she’s nervous about competing against Susan Boyle, who earned a Golden Buzzer courtesy of judge Mel B.
You’ve got this, Hale — we’re rooting for you. This article, Fil-American preteen becomes first contestant ever to receive two Golden Buzzers on ‘America’s Got Talent’, originally appeared on Coconuts, Asia's leading alternative media company. Want more Coconuts? Sign up for our newsletters!